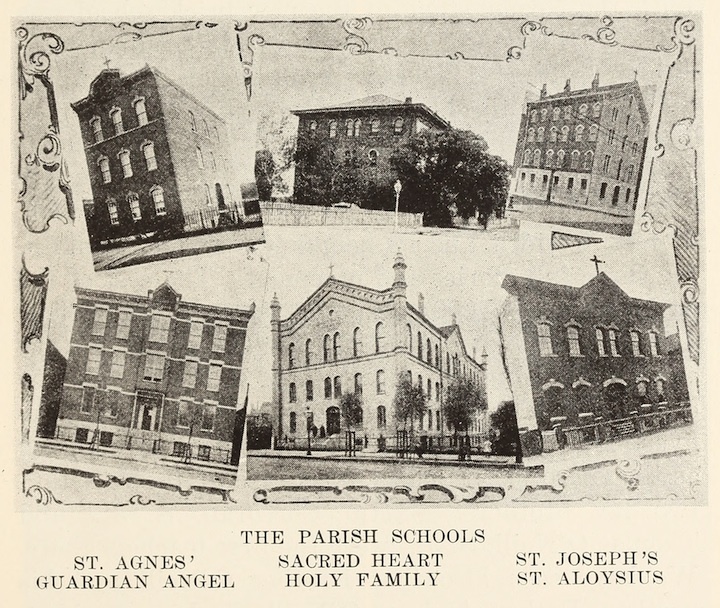 In June 1858, the nascent Jesuit community at Holy Family Parish opened the Holy Family School at Morgan and 12th Street, just east of their new church building. This elementary school constituted a crucial component of founder Fr. Arnold Damen’s plan to build a Catholic parish on the west side of Chicago. Thousands of young men, many of Irish descent, were educated at this school over subsequent decades. Tuition registers for the period 1861 to 1879 survive in the archives of Loyola University Archives and Special Collections in Cudahy Library. They provide a wealth of information about the boys and young men who attended the school, including their age, residence, name of their parents, and the number of months for which they paid tuition each year. Additional inserted comments, such as “run over by an omnibus,” give us a view into this world we might not otherwise have. This past week the Scholars divided into three groups to transcribe, analyze, and visualize the listings from the “C” section of these registers from 1866, 1871, and 1875. Like in previous weeks’ assignments, they were asked to create a Google Fusion Table, upload their group’s transcribed data, and analyze their findings. Unlike in previous weeks, the Scholars were tasked with writing up their findings in a way that engagingly introduces a general reader to neighborhood life and Catholic parochial education in 1860s and 1870s Chicago. The challenge was to see how creative they could be in conveying the information they had uncovered. The Scholars have not failed to impress with their posts! Olivia reminds us of the lack of creative naming by Chicago’s Irish parents. She views 1870s Chicago through the eyes of one of the many Johns in the same classroom at the Holy Family School. Two students looked at the data through the experience of the women religious who taught the students. An imagined conversation between Sr. Brighid Flannerty and young student John Callaghan gives us insight into the contributions of nuns to Catholic parochial education in Claire’s post. In Brendan’s blog, he uses the framing device to reveal what he was able to puzzle out about class distribution. 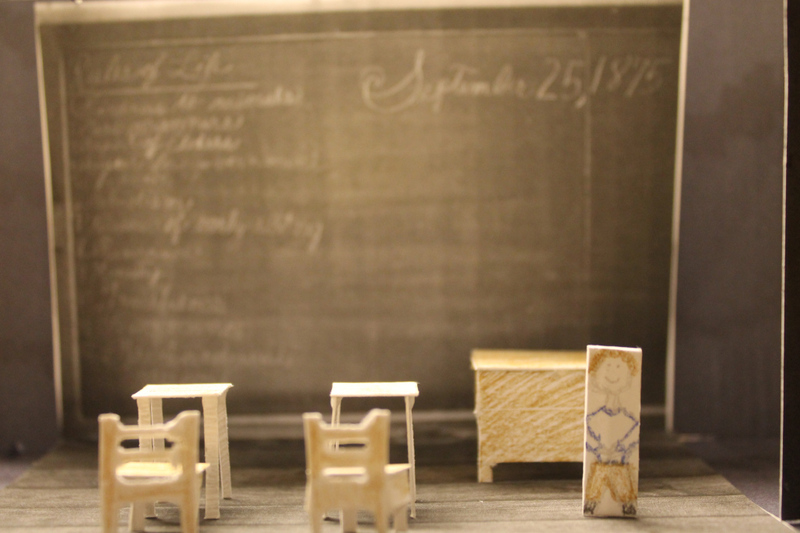 From Bianca’s visual reconstruction of Dennis Corbitt’s experience of the Holy Family School.